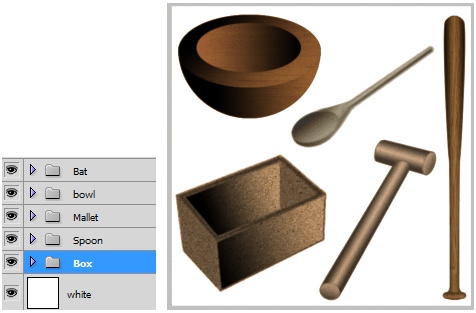 In this Photoshop tutorial, you will learn how to make Wooden Objects using outlines, gradients and wooden textures. You do not have to be a good artist. 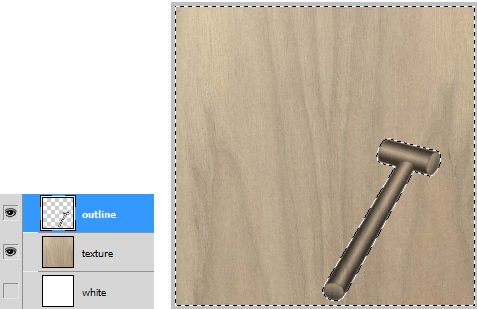 It is easy to create realistic wooden images with depth. 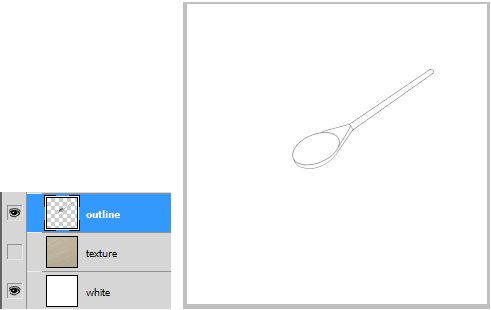 You will learn to make simple outlines with the Elliptical, Pen, Convert Point, Stroke, and Brush tools. Two types of Gradients will be used. The Linear Gradient and Reflected Gradient. 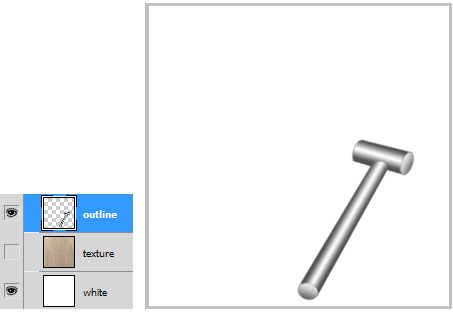 You will make use of the Magic Wand to select the insides of outlines to fill with gradients. 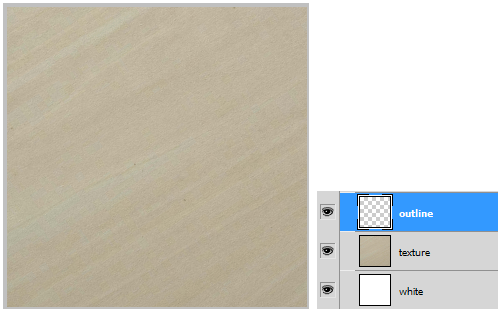 Download the wood texture below from our website. Load Photoshop and open this texture. Create three gradient layers. Create another layer and fill with white. Go to the Gradient1 layer. Click the Elliptical tool and check Anti-alias. 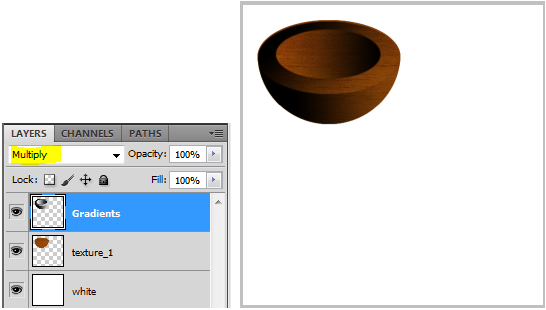 Create an oval shape as seen below with the Elliptical tool. 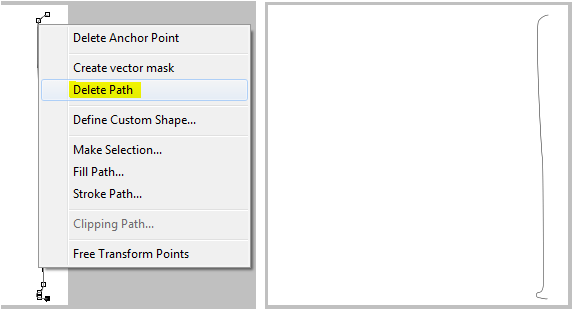 Then create a black and white Linear Gradient inside the selection with the Gradient tool. Go to the Gradient2 layer. 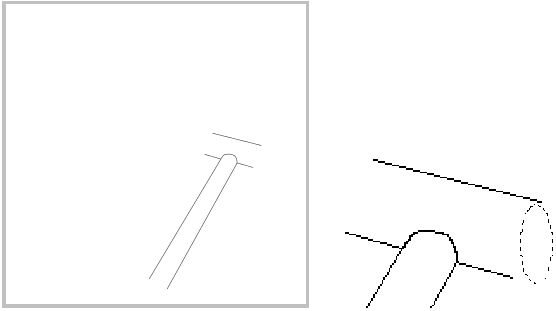 Draw another selection outside the first one, and fill with a Linear Gradient. 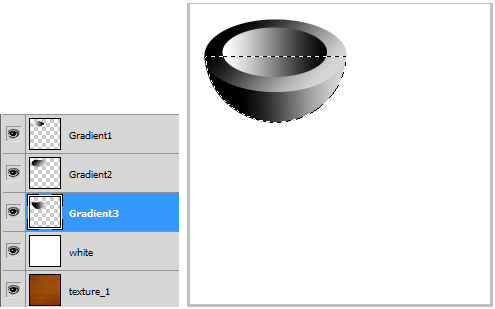 Create another oval selection then click the Rectangular tool while holding the ALT key, and cut the top half of the selection. Go to the Gradient3 layer. Fill with a Linear Gradient. Merge all Gradient layers. 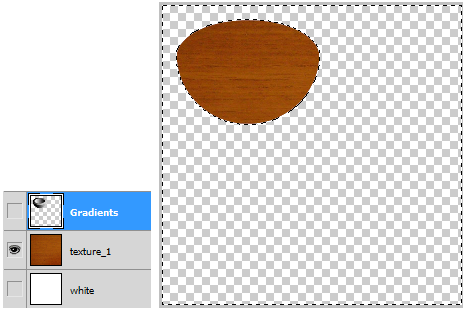 On the final Gradient layer go to Filter/Blur/Blur/More from the menu. This will soften the edges. Move the texture_1 under the Gradients layer. Go back to the Gradients layer. Use the Magic Wand tool to click anywhere outside the gradient image. 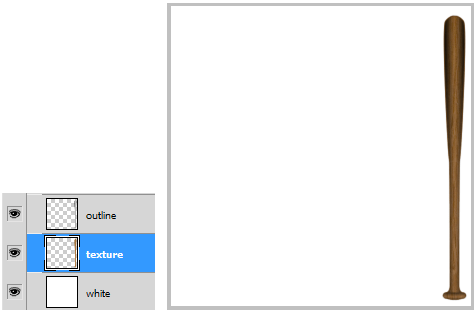 Then go to the texture_1 layer and press Delete. Go back to the Gradients layer and change the layer to Multiply. Turn on the other two layers. 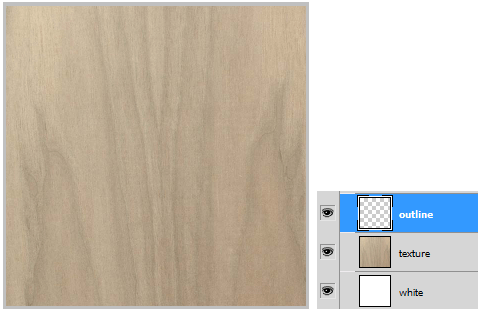 Now the Gradients layer blends into the texture layer giving you a wooden bowl. 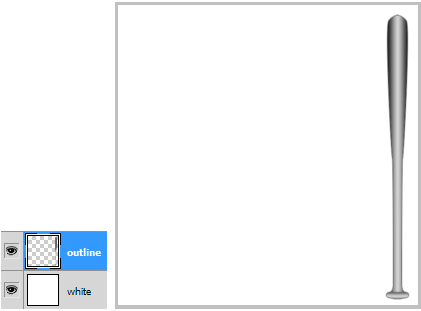 Create an outline layer and white base layer. 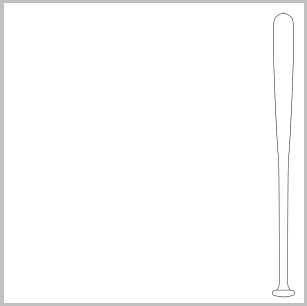 Go to Pen tool.Click the points that will make a rough outline of half a baseball bat. Go to the Convert Point tool. Move the handles of each point to make nice rounded curves where needed. 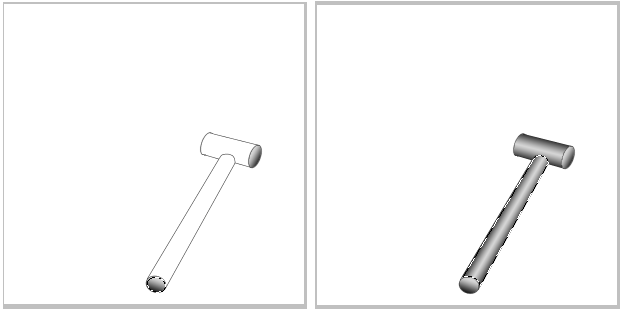 Hold ALT to move a point with the mouse. 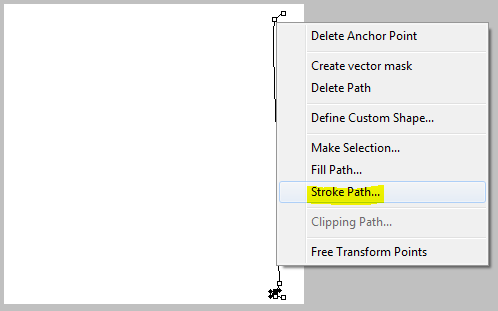 Right click on a point and go to Stroke Path. Choose Brush. Then right click on a point and go to Delete Path. This will leave just the line. Duplicate the outline layer. 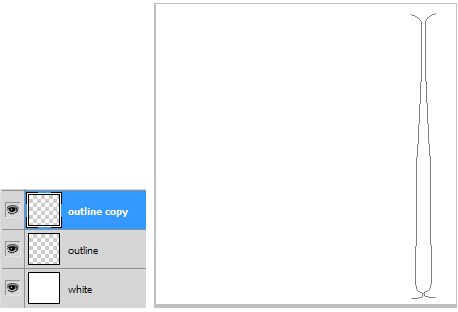 Go to the outline copy layer. On the menu go toEdit/Transform/Flip Horizontal. Click the Move tool. Move the outline copy layer to line up both halves. Then Merge the two outline layers. Draw a straight line at the bottom to separate the bat into 2 segments for the gradients. Go to the Gradient tool. Choose Reflected Gradient. 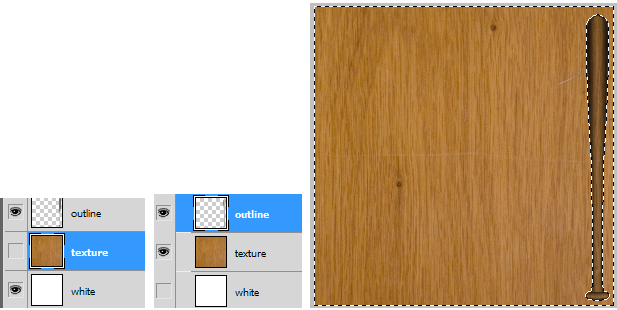 On the outline layer use the Magic Wand to select a segment. 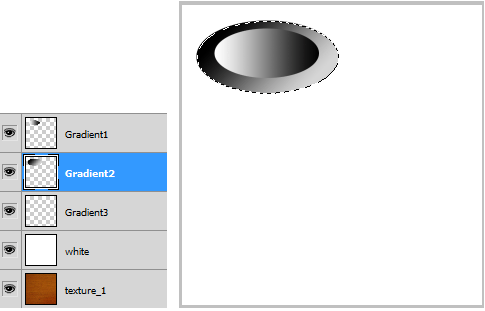 Use the Reflected Gradient inside the selection. Do the same for the other segment. On the menu go to Filter/Blur/Blur More. This will blend the outline with the gradients. Choose Multiply for the layer. 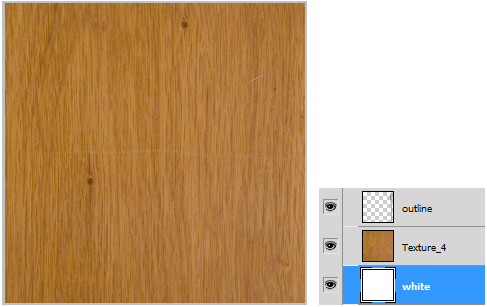 Move the texture layer under the outline layer. 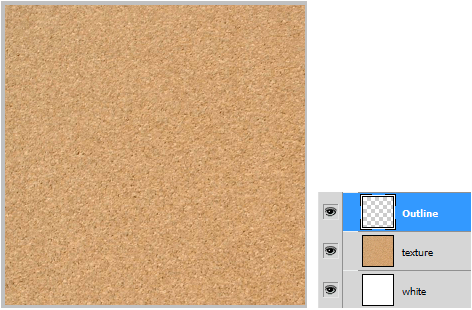 Then go back to the outline layer and use the Magic Wand to click in the texture background. 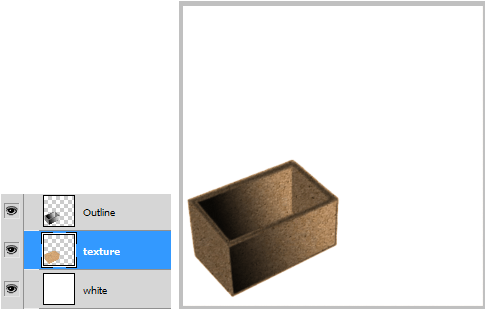 Go to the texture layer with the selection on and press Delete. Use a single pixel black Brush. Start drawing a rough outline. Hold Shift to make straight lines. 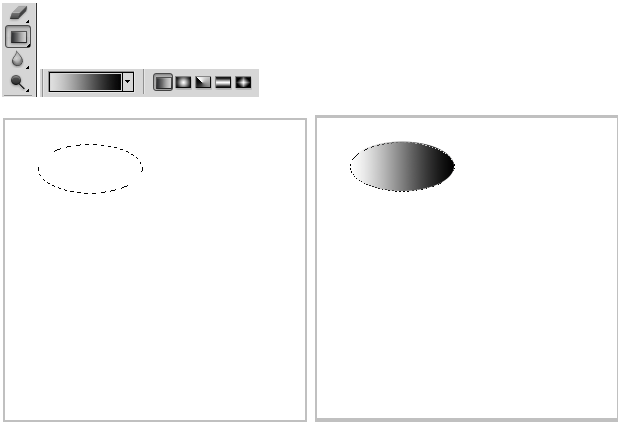 Use the Elliptical tool to draw ovals. 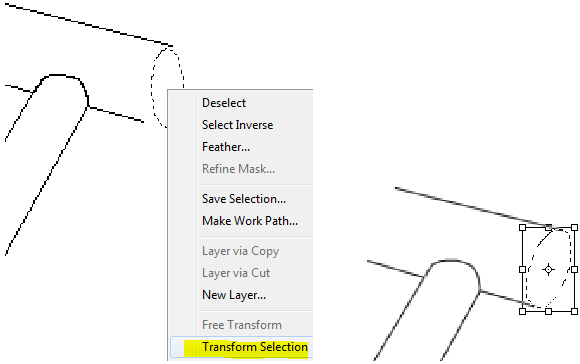 Right click the oval selection and go to Transform Selection. 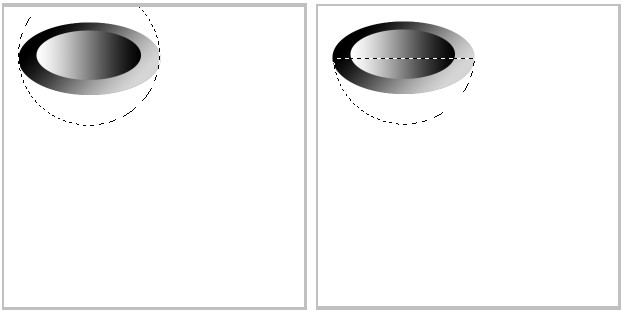 Rotate Move and Resize the oval until it fits. Click any button on the toolbar to click Apply Changes to the selection. 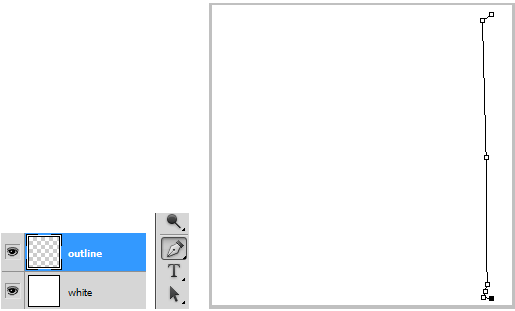 Then right click the selection again and Stroke with a Brush, 1 pixel size. Continue with three ovals in total. Zoom in and Erase the left inner oval line. 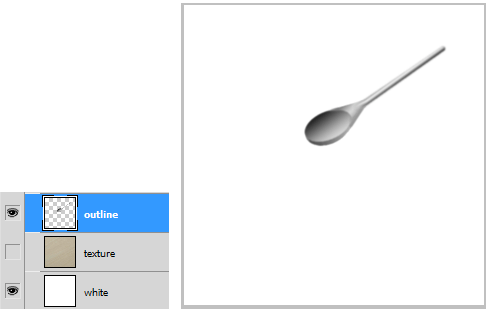 Use the Magic Wand to create two Linear Gradients below left. Then Two Reflected Gradients at the bottom right. Blur the outline layer. 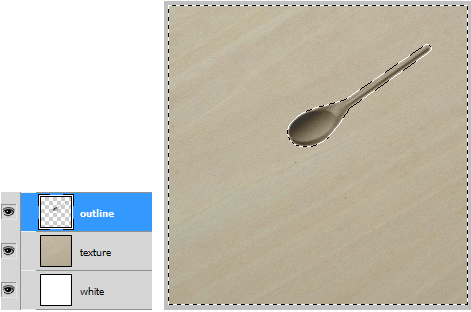 On the outline layer, change the layer to Multiply. 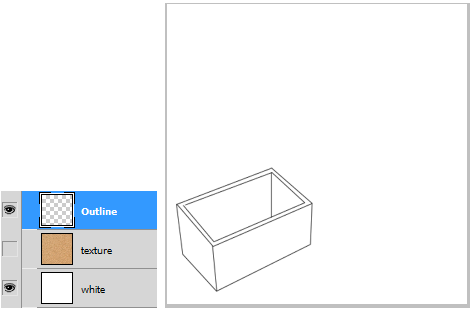 Go to outline layer. 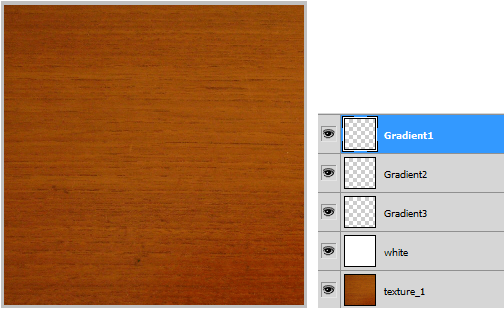 Use the Magic Wand and click the wood texture background. Then go to the texture layer. Then press Delete. Then Blur it. 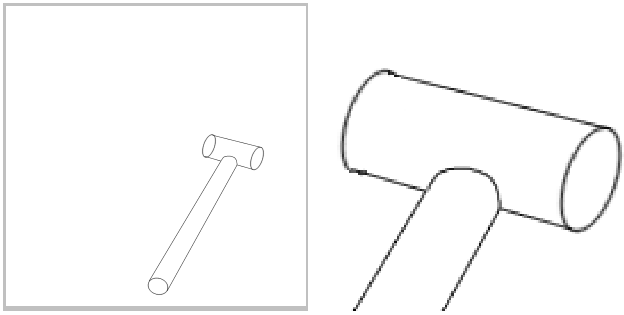 Use the same methods to draw the outline as done with the Mallet. Fill in the gradients. Then Blur. Change layer to Multiply. 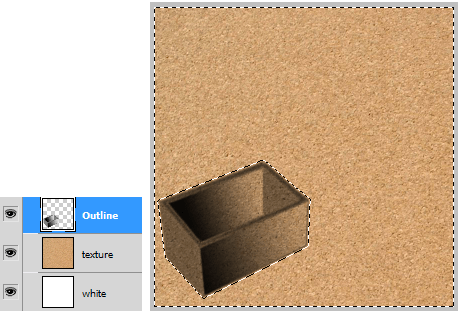 Go to the texture layer and press Delete. 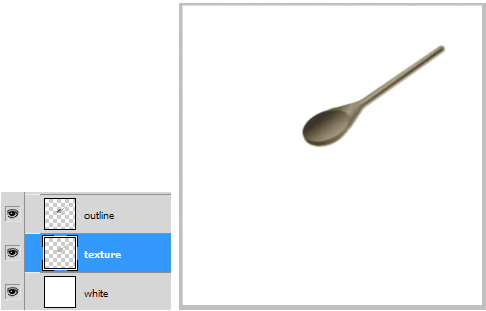 Then Blur the texture layer. Go to the outline layer. 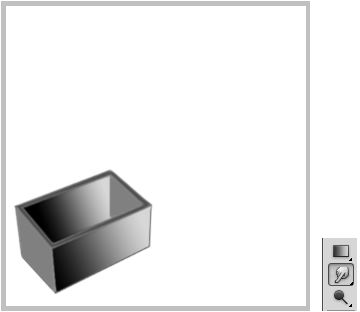 Use a one pixel Brush and draw a box outline. Fill in LinearGradients. Then Blur. Change layer to Multiply. Use the Smudge tool to blend the edges together. Go to the Outline layer. Turn on the texture layer. Click the Magic Wand anywhere in the background. 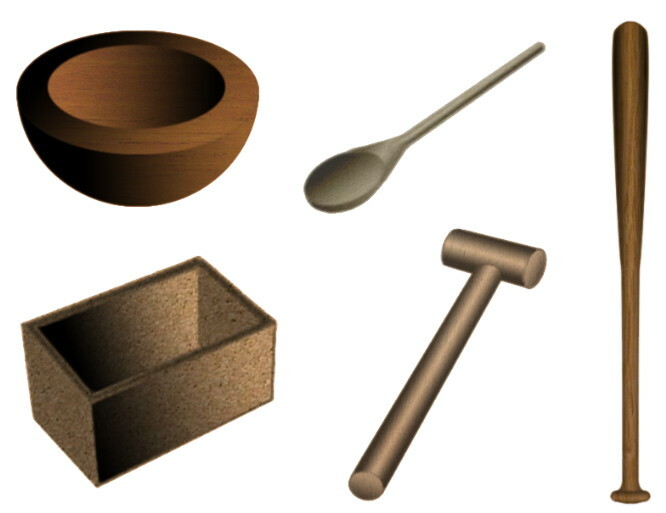 Here I have grouped each wooden object with a common white base layer.